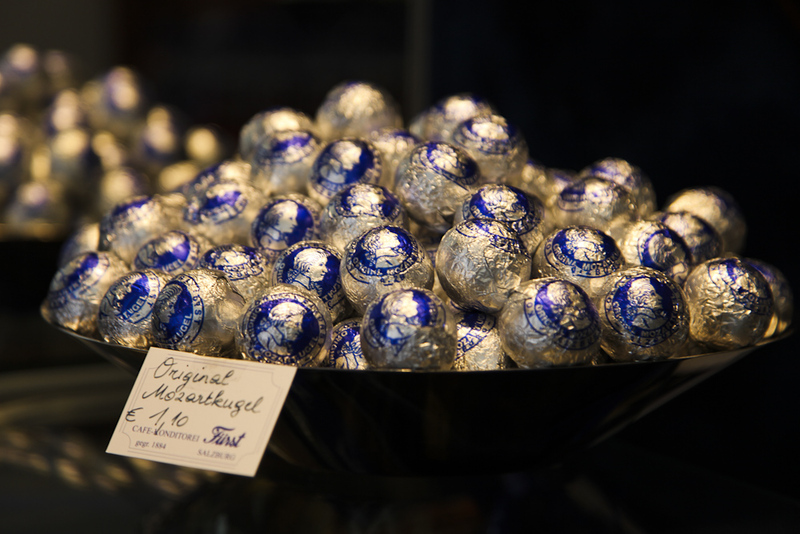 Forget every “Mozartkugel” that you have ever eaten; the Salzburg original is the best. Paul Fürst invented the sweets in 1884 as homage to Salzburg’s most famous son, and they are still the most popular gift for visitors to take home. The chocolate balls are made fresh daily, with soft melting Nougat, a pistachio-marzipan core and a heavenly dark chocolate coating. Now in its fifth generation, specialties have been added including 50 different pralines and truffles, cakes filled with dobos or sacher, maroni hearts and cheesecakes. Original Mozartkuglen can also be bought at shops next to Fürst’s Getreidegasse headquarters, on Mirabell Square and in the Ritz Arch.